The country's mismanagement is widely blamed for food shortages with some critics pointing to the nation's vast expenditure on its nuclear and missile programmes at the cost of investment in agriculture. The worst drought in more than 15 years has led North Korea to a severe food crisis, culminating a call by UN for urgent food imports to stop children going hungry where malnutrition is already widespread. The most vulnerable to food shortages are women, children and the elderly. The country's vital harvest has been badly damaged by a severe lack of rainfall over the first half of this year, according to the report by UN's Food and Agriculture Organisation (FAO). Vincent Martin, a FAO representative in China and North Korea, said seasonal rainfall has dropped below 2001 levels and could cause "a sharp deterioration in food security conditions of a large part of the population". "Immediate interventions are needed to support affected farmers and prevent undesirable coping strategies for the most vulnerable, such as reducing daily food intakes," Martin added. Besides, frequent floods and droughts contribute to the food crisis. The FAO report said more than 50,000 hectares of farmland have been severely affected by this year's prolonged dry spell, particular crops of rice, maize, potatoes and soybean. It said the production of 2017 early season crops has plunged by over 30 percent, from the previous year's level of 450 000 tonnes to 310, 000 tonnes. 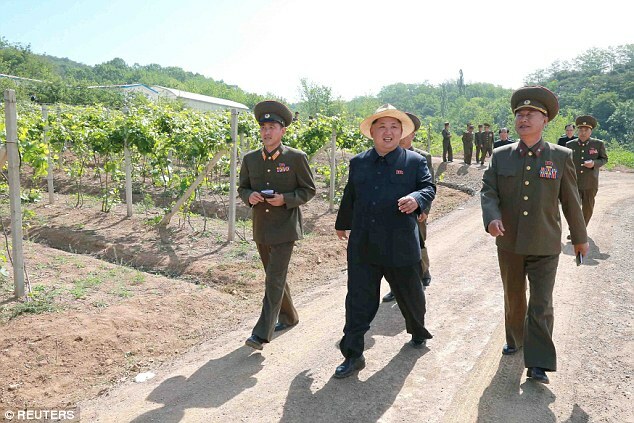 It has been learned that North Korea has been hit by famine in recent times, with hundreds of thousands of people dying in 1990's, a period known as Arduous March. Another reason is behind the food crisis is the lack of foreign aids to the country.